The US Brewers Association has followed the lead of the Australian International Beer Awards and split the Australian Pale Ale style into two sub classes and introduced a Hazy or Juicy IPA class to reflect the ever changing canon of beer styles. The US trade group representing US craft brewers said the split from one to two Australian-Style Pale Ale categories reflects tremendous diversity in the Australian craft beer market and authoritative input from the technical committee of the Independent Brewers Association. Under the new guidelines Classic Australian-Style Pale Ale can run slightly darker and typically exhibits relatively lower hop aroma. The Australian-Style Pale Ale category provides ample room for a range of somewhat paler, more hop aroma- and flavour-forward beers being produced today by hundreds of breweries in Australia. 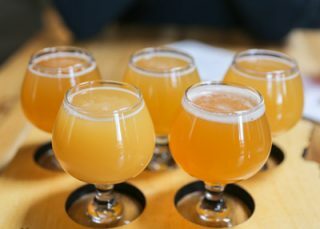 The rise of the New England IPA, or NEIPA, has seen the creation of Juicy or Hazy variations of Pale Ale, Indian Pale Ale and Double IPA styles. Gose and Pilsener styles were also tweaked to reflect current practice.